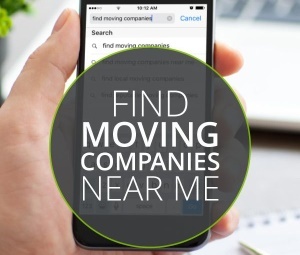 Plannning Your Move - Georgia Movers Association, Inc. The Georgia Movers Association is your first step to a successful move. While GaMA does not guaranty your move will be flawless, we check a mover’s GADMVS certificate, workers’ compensation and liability insurance coverage and reputation before accepting them as a GaMA member. We recommend these additional tips for a successful move. 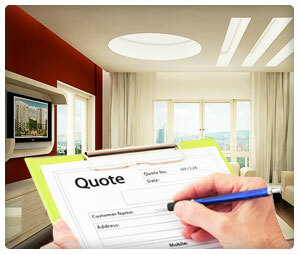 Click here for our Moving Preparation Checklist. Call the Georgia Department of Motor Vehicle Safety Commercial Vehicle Section at 404-624-7241 or visit their website at www.gamccd.net to verify a mover’s license and complaint information. This information is found under the Household Goods heading on the site. Make sure the mover you are considering is licensed by the GADMVS as required by law and that his GADMVS certificate number is a legitimate one. Check your local Better Business Bureau about constant complaints. A responsible mover may have a few complaints lodged against him but his record with your local Better Business Bureau should show that he responds to and resolves complaints. Check the telephone listings for last year. If the mover in question does not appear, it could be a legitimate new company or it could mean the mover’s GADMVS license was revoked and he’s trying to operate under a new name or the name of another licensed mover. Ask for an explanation. Ask if the mover carries workers compensation and liability insurance. The GADMVS requires such coverage. This adds to the cost of doing business but it protects you. You may ask to see a copy of the movers` certificate of insurance. A very low bidder may be cutting costs by cheating on this needed protection. Make sure their place of business really does exist. Paying a visit to the office will let you observe the integrity and professionalism of the mover. You can confirm that he has a place of business and it appears clean, organized and properly staffed. Also, ask to be taken on a tour of the warehouse to observe the housekeeping and security measures to keep your storage shipment secure. Ask your friends and neighbors about their move. Satisfied customers are the best sales advertisement for a mover. Remember, even a mover with a big franchise name is still a local businessman who is only as good as his local reputation. Don’t listen to sales personnel who tell stories about other movers. A high-quality firm with a good reputation doesn`t need to knock the competition, or to criticize other moving firms in an attempt to make themselves look better. Insist on getting estimates in writing. Remember that prices too good to be true probably are. Legitimate business people have legitimate expenses, such as license, taxes, insurance, employee wages, benefits, and quality equipment. A legitimate mover must consider all those things when determining the price for service, and so should you. For residential moves within Georgia, a mover is not allowed to give you a discount except on certain limited local moves. Movers` rates must be published in their tariff with the Georgia Public Service Commission. If the mover is offering you a lot of “freebies” (such as cartons, tape, etc.) just to get your move, ask questions. Unless the “freebies” are included in the tariff, the mover could well be required to bill you later. You have the right to see the mover’s tariff. Hiring an unlicensed person to do your move can set you up for grief-you will have no recourse if things go wrong. If anyone is injured (workers or others) or if anyone else’s property is damaged during the move, you could be liable. An unlicensed mover is breaking the law-is that who you really want to trust with all your personal possessions? So avoid the cheap guy on the grocery store bulletin board or in the truck rental agency. It isn’t worth it. Be sure you understand the type of loss and damage protection you agree to in your bill of lading (which is your contract). Basic moving rates only cover a minimal amount of protection, because every customer has different needs based on the nature of their possessions. Some customers need $100,000 of coverage, while others might need only $250, or even no extra coverage. Extra coverage (based on your own needs) will cost extra. This coverage may be in the form of insurance, for which you should receive a certificate of insurance, or in the form of “valuation,” which is increased liability assumed by the mover. The time to make the decision about this coverage is before the move starts.